The Arcanist class has been announced to be a new magic based class with a focus on crowd control and support abilities. The class will make its debut at the launch of FFXIV: A Realm Reborn. By completting quests the Arcanist can become a Summoner and a Scholar. Summoner will give it access to miniature primals to summon called Egis while scholar will have a fairy pet. As an Arcanist you should be focusing on INT as this increases magic attack power. Actions are skills that the Arcanist can equip to their bar and select to use at any time as long as their timer is available. Actions used in a combo will generate additional damage and effects. All Arcanist actions are exclusive to that job. Deals earth damage with a potency of 70. Symptoms: Reduces HP recovered by healing magic by 20%. Additional Effect: Heavy +40% Duration: 24s Heavy effect not available in PvP areas. The Arcanist has access to a unique set of actions for controlling their pets. These are listed below. Traits are not actions and can not be equipped to your bar. They are earned as you level up and are always active. As a result they require 0 cast time and have a 0 MP and TP cost. 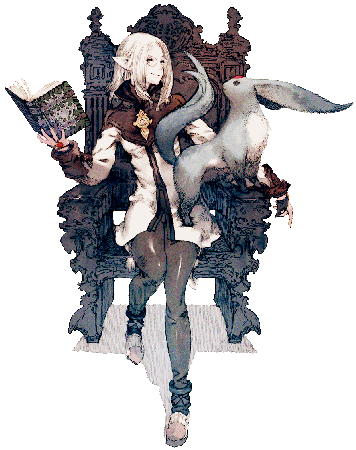 They are also all exclusive to the arcanist class and its jobs Summoner and Scholar. Allows the stacking of one F201FAF201FBAetherflow0101. Increases base action damage and HP restoration by 10%. Also increases base damage and HP restoration of your pet by 10%. Allows the stacking of up to two F201FAF201FBAetherflows0101. 20% chance of increasing spell speed by 20% when pet deals critical damage. Upgrades Bio to Bio II. Increases base action damage and HP restoration by 30%. Also increases base damage and HP restoration of your pet by 30%. Allows the stacking of up to three F201FAF201FBAetherflows0101. Since the Stormblood expansion for FFXIV, cross class actions were removed and replaced with the concept of "role" actions. Role actions are more generic as they don't belong to specific classes, but instead to roles such as melee DPS, magic DPS, healer or tank. The Arcanist can equip up to 10 of these. Blizzard II has replaced Thunder as a cross class skill. Thunder is no longer available. Patch 2.1 removed Thunder from being cross-class, made Blizzard 2 cross to mages instead. @ Mistle - That's because in a somewhat recent update, they removed it from the list of abilities you can cross class from THM. Instead, they replaced it with Blizzard II. Abilities that are unlocked by completing a quest (like Bane) only appear once unlocked. How come I don't see level 30 "Bane" in my Actions & traits in-game? .. or is it a quest reward from the Arcanists guild. Thanks Leblanc, I've fixed it.